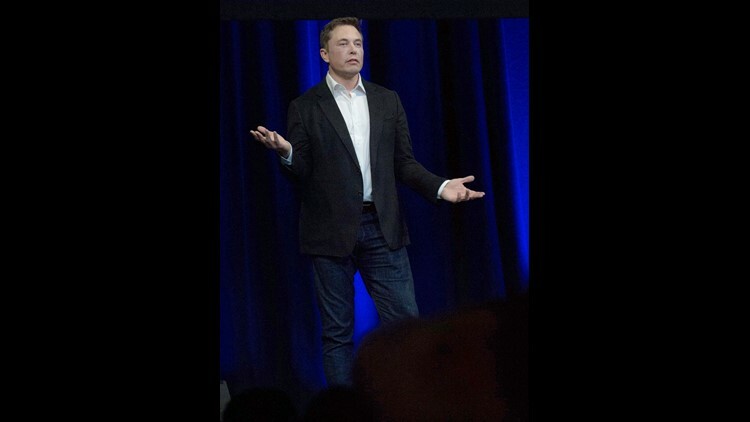 Elon Musk, Chief Executive Officer of Space Exploration Technologies Corporation, speaks on the final day of the 68th International Astronautical Congress in Adelaide, Australia, on Sept. 29, 2017. Tesla CEO Elon Musk could be the subject of a new investigation by the Securities and Exchange Commission following his Tuesday tweet saying he wanted to take the electric car company private. The SEC has inquired with Tesla about Musk’s tweet and the regulator is studying if Musk's statement in the tweet was truthful, the Wall Street Journal reported Wednesday, citing "sources." The report also said the SEC inquired why Musk made the disclosure on Twitter. The Journal said the SEC’s inquiries originated from its San Francisco office and suggest Tesla might come under an enforcement investigation "if regulators develop evidence that Mr. Musk’s statement was misleading or false." But it said it was unclear whether the regulator had opened a formal enforcement investigation. An SEC public affairs officer said that the regulatory agency had no comment on whether it had contacted Tesla about the tweet. Tesla has not replied to an email and a phone inquiry seeking comment. At 12:48 p.m. Tuesday Musk tweeted: "Am considering taking Tesla private at $420. Funding secured." Tesla shares rose 11 percent to close at $379.57 after trading was halted for part of the afternoon while investors awaited clarification. The stock's record high was $389.61 on Sept. 18, 2017. A former federal prosecutor says that the tweet could be in violation of state and federal laws. "You’re not allowed to issue misleading information that investors could act on, and it looks like investors acted on it," said Peter Henning, a professor at Wayne State University Law School specializing in securities law. In 2013, the SEC ruled that companies can use social media such as Facebook and Twitter to announce key information so long as investors have been alerted about which social media will be used to disseminate the information. Musk offered some clarification to his tweet later Tuesday, saying the "only reason why this is not certain is that it’s contingent on a shareholder vote." Musk, whose tweets initially caused confusion as some investors questioned whether he had been hacked, later confirmed his thinking through Tesla's official website. "I think this is the best path forward," he said in an email to employees, further clarifying that "a final decision has not yet been made, but the reason for doing this is all about creating the environment for Tesla to operate best." The explanation could have been too late, Henning told the Free Press. Corporate governance requires a company officer to first notify the board of directors of any deals, then negotiate a deal with the board. If the SEC believes Musk's tweet misled shareholders, the SEC could deem it a violation of antifraud prohibition in the federal securities law, said Henning. And, legally, Tesla shareholders could sue Musk for a breach of fiduciary responsibility, said Henning. If the tweet gives an impression that Musk is trying to "stampede the board," that’s a violation of state fiduciary duty of directors, he said. Musk is already the subject of an SEC investigation. CNBC reported late last month that Tesla whistleblower Martin Tripp is slated to meet with the SEC over Tripp's allegations that Tesla has made several "material omissions and misstatements" to investors and possibly compromised the safety of Tesla customers.